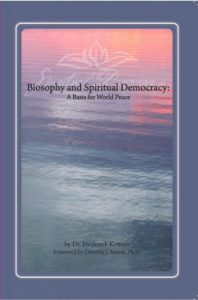 Biosophy and Spiritual Democracy is NOW AVAILABLE ON AMAZON! We are offering these files for download free of charge. Additional publications will be added periodically. © 2014 by The Biosophical Institute, Inc. Donations welcome.